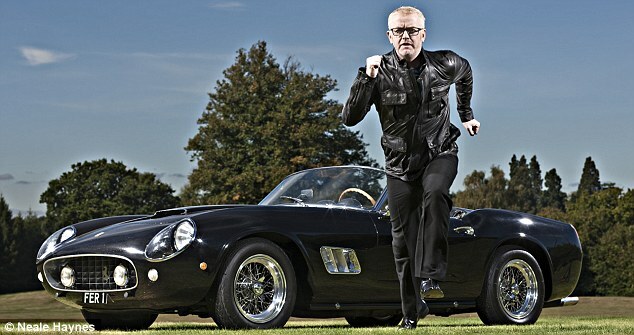 Evans said he was “thrilled” to get the job, describing the motoring show as his “favourite programme of all time”. “I promise I will do everything I possibly can to respect what has gone on before and take the show forward,” he added. Car nut Evans, has signed a three-year deal with the BBC Two show, he had previously been tipped to replace his good friend Clarkson but at the time he insisted he was not interested. An “all-new” line-up means Clarkson’s co-hosts Richard Hammond and James May will not be involved. Can't make it any worse than it was. Agreed! It'll be good to see new presenters. I haven't watched it on a couple of years because of Clarkson and Hammond! He's a proper enthusiastic car owner, his love for Ferrari knows no limit. Imo they need younger men like him to do the job. Will reserve judgement until his first episode airs, dare say this will open the door to Clarkson, Hammond & May to get something started with some other channel! | Imo they need younger men like him to do the job. I think he'll be perfect for it. Looking forward to watching it again now. Hopefully Hammond is more bearable without Clarkson there too. Ah, it appears the other pair are away too! It was Staler than a week old loaf and desperately needed a refresh. The cynic in me wonders if the whole lot was a set up to clear the way with added hype for both parties.